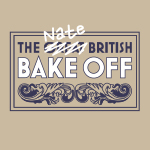 This was one of the most tempting bakes to date. Tempting because even though I have a slight egg intolerance, (especially when it’s uncooked) I wanted to just eat the brownie mixture from the bowl with a spoon. I’m surprised it made it into the oven! This is a recipe from ‘Green & Black’s Organic Ultimate Chocolate Recipes’ which has so far produced, as you would expect, very chocolatey rich results. 300g unsalted butter – substituted for 330ml stork baking liquid as it was quicker and cheaper! 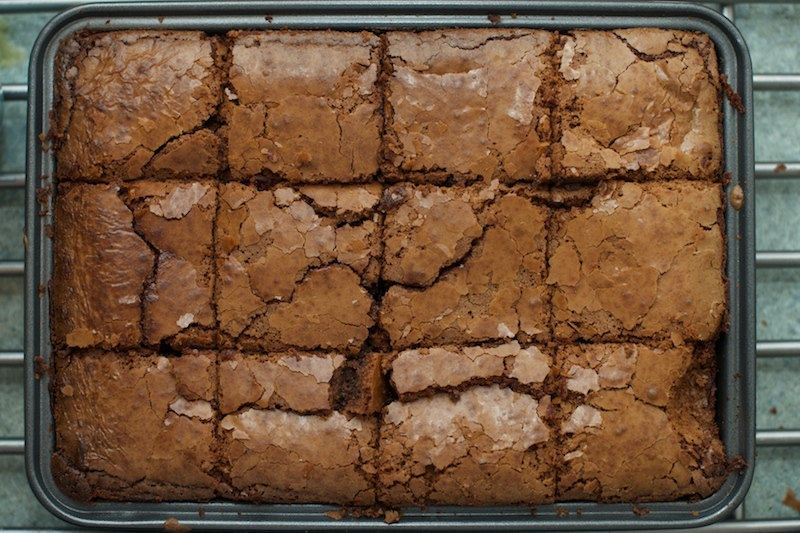 Preheat your fan-assisted oven to 160c, LINE YOUR BROWNIE TIN WITH BAKING PARCHMENT. I didn’t on this occasion and fortunately got away with it. You might not be so lucky! Melt the butter and chocolate together in a bowl over a saucepan of barely simmering water. Beat the eggs, sugar and vanilla together in your posh mixer until the mixture is thick and creamy. 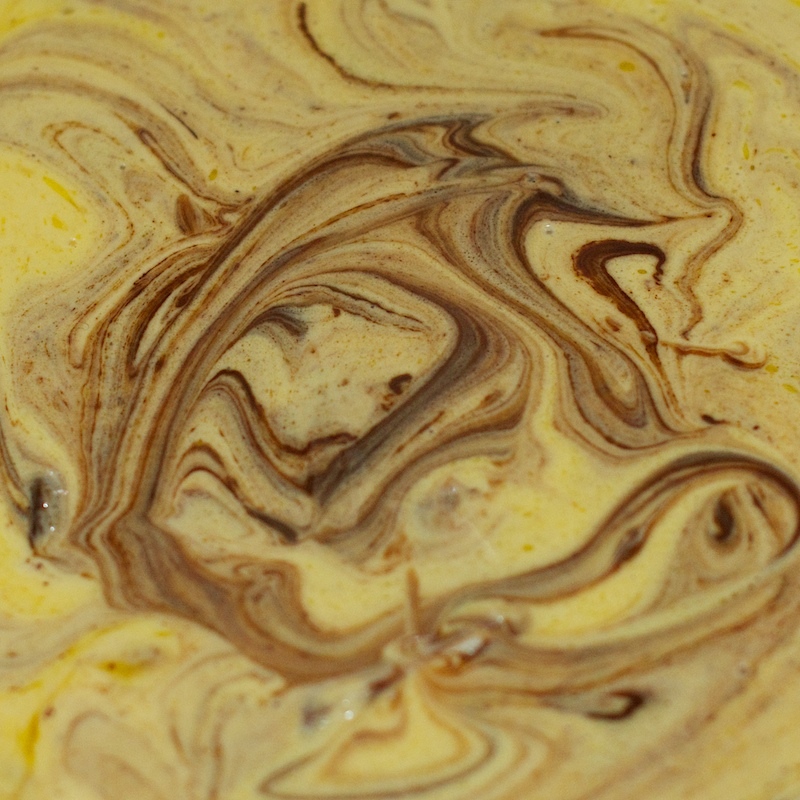 Once the butter and chocolate have melted together, remove from the heat and pour into the egg mixture. Sift the flour and salt together, and add to the mixture, and mix everything together until smooth. 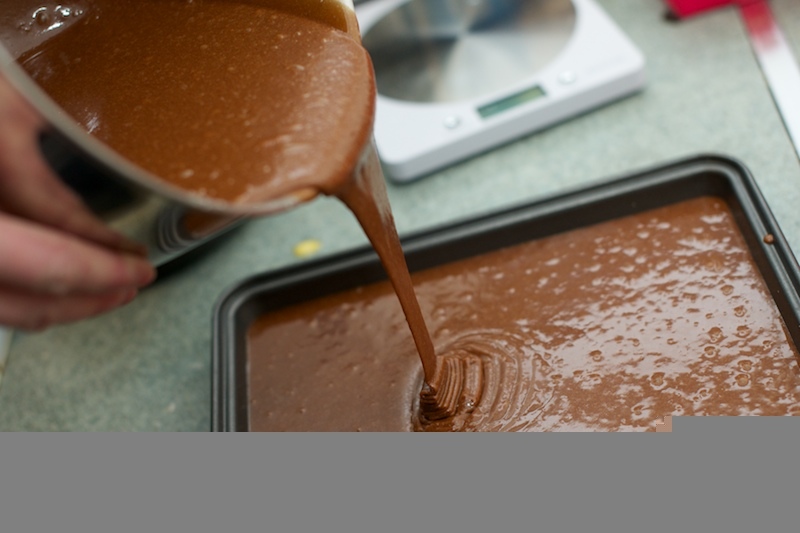 Pour into the brownie tin, ensuring the whole mixture is evenly distributed. Bake in the oven for roughly 25 minutes. A light brown crust will form on the top and then crack. It shouldn’t wobble, although mine did so I stuck it back in for another 5 minutes to be sure (subsequently over-baking it). My worries about the ‘wobble’ soon disappeared when I left it to cool and it stiffened right up. Baking innuendo anyone? Leave it to cool for 20 minutes before dividing into 12 smaller slabs of brownie and remove from the tin. 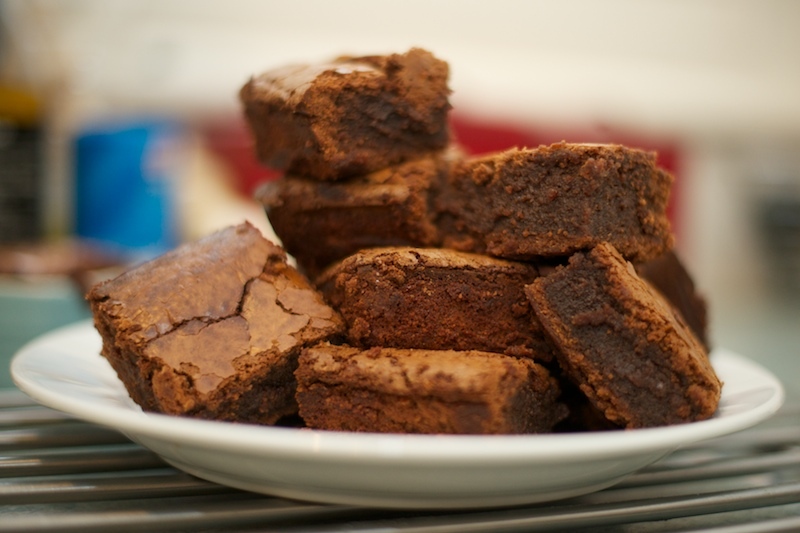 Fortunately even though I forgot the parchment again, I was stil able to get the brownies out of the tin successfully. Overall, subbing 100g of dark chocolate for white chocolate made it less rich than it should have been, and the extra time in the oven took away some of the ‘gooey-ness’ but they’re still bloody tasty! 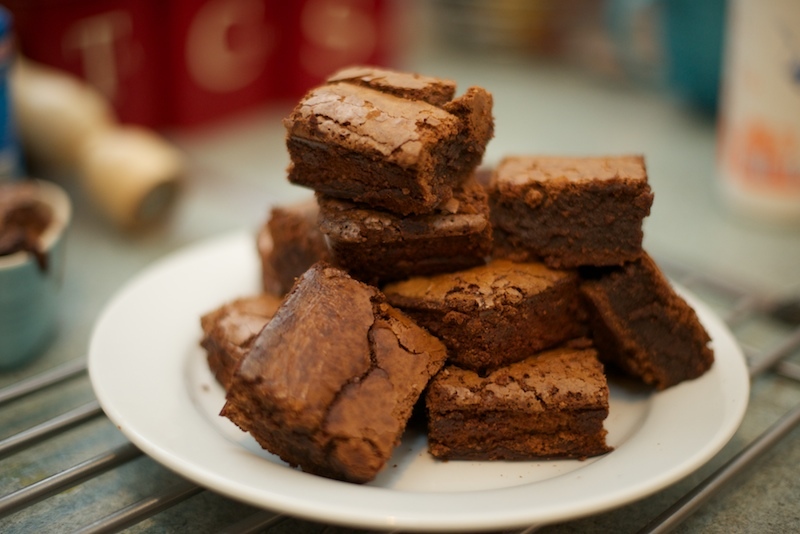 They look delicious Nate (feels odd to use ppls name when u dnt know them) anyaways i always worry about that getting the gooey brownie but making sure its not raw in the middle. Your a dedicated baker if your baking things you have an intolerance to!